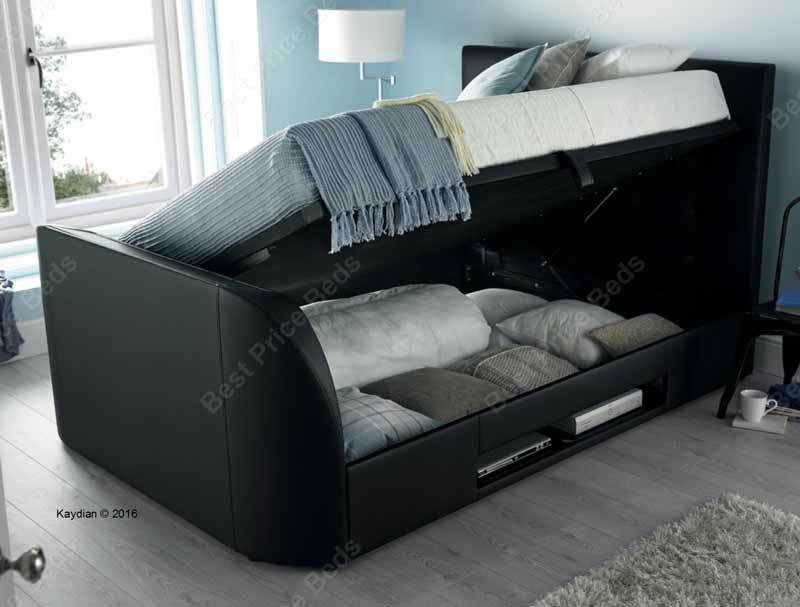 The Kaydian barndorTelevision Bed frame offers the best of everything with under bed storage as this side lift ottoman bed frame offers ample storage base for clothes, hand bags and shoes. 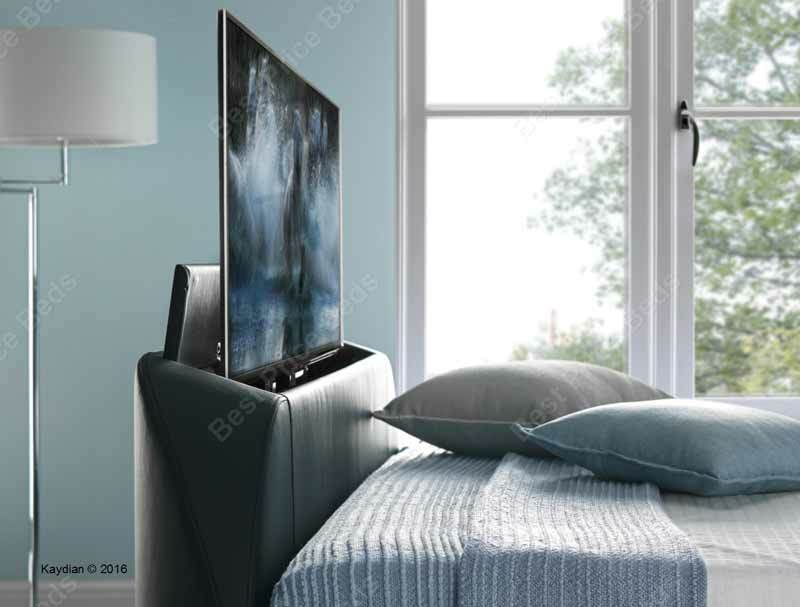 It alsohas a storage space for a dvd player or games console that can be wired to a slimline television (not supplied, max 40") that will pop up or drop down by infra red remote control. 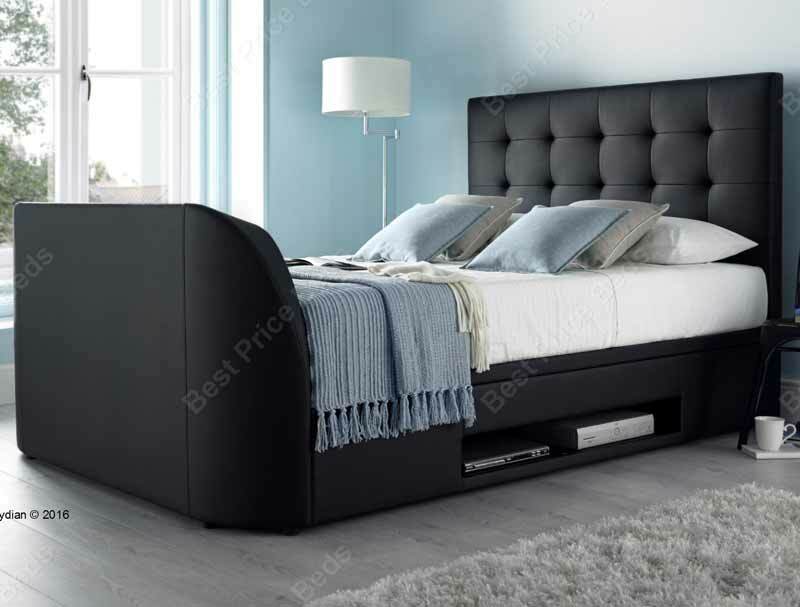 This super quality television ottoman bed frame is available in either a Silver crushed velvet or a Madras bonded black leather and is available in double, king or super king size and is delivered free of charge to your door generally if in stock in 5-7 days , it comes in 5 boxes for home self assembly. 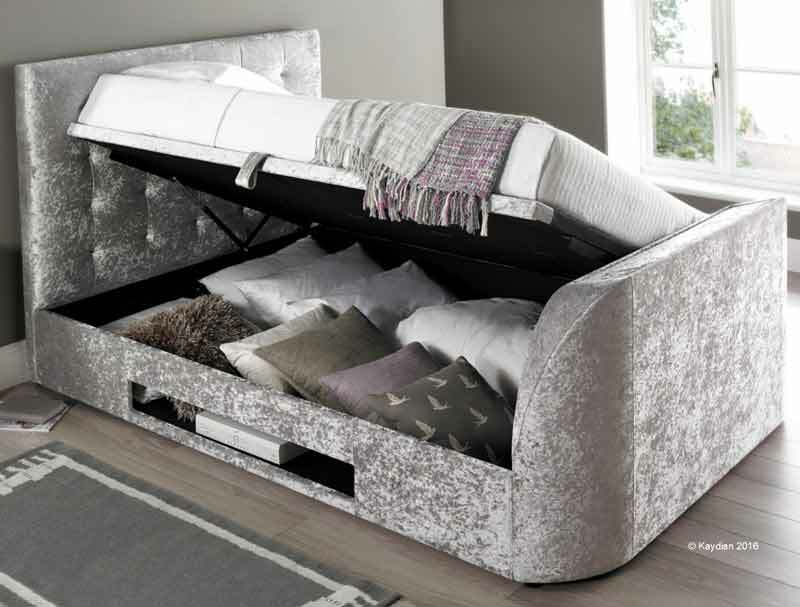 Please note deliveries to Postcodes such as IV, KW, AB, DD, PA, PH and FK18+ will incur a small delivery charge of £25.